We offer a simplified package and additional services to help document your day! Thank you for trusting us with capturing your wedding day. We are truly honored. We take our craft very seriously. Check out our work as we update it regularly! Getting to know our clients is our favorite part of the job. We’d love to hear from you. Your wedding is the greatest party you will ever throw. No other celebration invests the time, the money, or the effort to prepare in advance, and no other celebration brings people together like a wedding. And after you plan tirelessly, you’re going to want to remember every little detail that went into the magic of the day. We understand the magnitude of your wedding day, so we take our time to get to know each of our couples personally, so we can create a wedding video for you to watch time and time again. We don’t just walk into your lives with a camera, like paparazzi. We are your private wedding videography team, capturing every detail. Our founder, Austin Taylor, got his start working in the film industry and has worked on all types of projects, all over the country. Some of the production styles he’s worked on include feature films, documentaries, scripted television, unscripted television, commercial films for broadcast and for web, internal corporate films, and now, Albany Wedding Videography. And Atlanta GA, New York City, Pittsburgh PA, Dallas TX, and Tampa FL are just a few of the places he’s worked. Here are some words from him. As Albany Wedding Videographers, we tell stories; and to write your perfect wedding story, we implore each couple to meet with us one on one. We don’t want to go into your wedding day cold, and honestly, you don’t want us to either. This meeting will give us a glimpse into your relationship to help us to better capture the essence of your relationship in your personalized story. We will also have an opportunity to answer any questions you may have and even ask us about any recommendations for other wedding vendor needs. Rooted Pine Films is connected throughout Albany, so we love to share clients with our friends. We love that we are given the responsibility of protecting the memory of the bride and groom’s wedding day through creating exceptional wedding films, so they can relive their celebration every day. 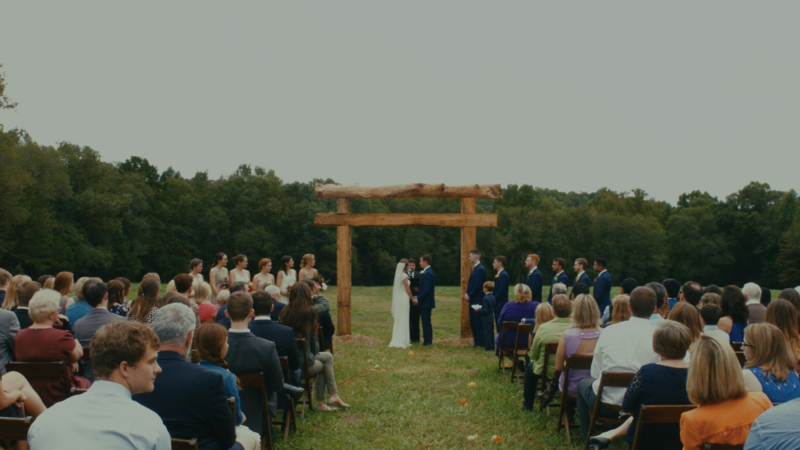 Since 2010, Rooted Pine Films has been a principal source for wedding videography, with the goal of providing our couples with a crafted film, memorializing their wedding day. We do all the planning before festivities begin, so on the day we are invisible and out of your way, letting you soak everything in. This way, our mission to create the best possible wedding film doesn’t get in the way. We are able to execute efficiently and effectively while staying completely out of the way. We are locally based, Albany wedding videographers, filming weddings around the entire Southeast. Including everywhere from Albany, to Athens, to Charleston, Charlotte and Asheville. We love to travel and are available for destination weddings! Nelson Tift’s role in making Albany what it is today can’t be overstated. From education, to business, to transit–ships and railroads–he was invested in his city. It was was only two years later, in 1838 when Albany earned incorporated status. Home to many plantations, cotton production began to become the town’s main economic focus. Albany was built at the navigable head of a river exactly like its namesake: Albany, New York, and it wasn’t long before the Flint River began to be used to the cotton industry’s advantage. Albany quickly became a shipping hub of the Southeast United States, and the construction of railroads only cemented Albany as a hub for shipping. Albany also has a rich, albeit mostly unknown, history in the Civil Rights movement. In the early 1960s, heroes among the movement earned the right to vote, desegregation of public services and spaces, and the abolition of Jim Crow laws. Through non-violence and protests, the residents of Albany, Georgia became a gleaning example of what it looked like to effectively push for change within a corrupt system and standing up for what was right. It wasn’t until the Civil Rights Act of 1964, however, that these rights became cemented for Black Americans. Home to a prominent Marie Corps base, Miller brewing Company, and Albany State University, and Kendrick Brothers Productions (formerly Sherwood Pictures), many unsuspecting entities call Albany home. Some notable productions produced by Kendrick Brothers Productions / Sherwood Films are: Facing the Giants, Fireproof, Courageous, and Flywheel. Q: “We don’t live in the city, but we found you on TheKnot.com. Are you willing to travel to our location? A: Yes! We are very willing to travel to you. We ask that you pay for travel expenses, which vary, depending on location. A: Upon finalization of edits and revisions our couples will receive four films: the full ceremony, toasts, dances, and a story capturing the highlights from the entire day. A: The answer varies, depending on your preferences, but we guarantee there will always be a minimum of two of us there to capture your day. A: We are yours for the whole day. Other videographers restrict their hours, but we think that is dumb. If you want us there when you wake up, we will be there; if you want us to tuck your family members in after the reception, we are ready and willing to do that too. The team assigned to you will only film your wedding that day, so they have no other obligations or time constraints. A: From first-hand experience, my wife and I regretted not getting our wedding filmed. The day was perfect, but it went by so quickly that we could not take it all in. Hiring a videographer will remind you of all the details, people, and overall beauty involved in your wedding. We are absolutely blown away by Austin’s quality job capturing our wedding day! He made us feel so incredibly comfortable the entire day, all while getting footage of everything! We are so thankful for Austin and for him providing us with such great footage that will allow us to relive our wedding day ten thousand times over. With that being said, I highly recommend him for all of your wedding day videography needs! Thank you will never be enough, Austin! You‘re the best!!! You already have enough decisions through the wedding planning process, so we hope to make this decision as simple as possible. We have slimmed down our offerings to one package with some optional add ons to streamline your planning. 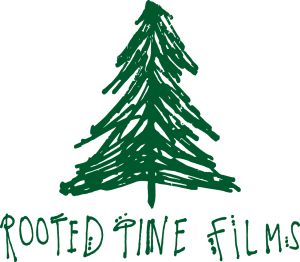 @2017 Rooted Pine Films. All rights reserved.